I’ve not seen this wine before, but certainly the background story is solid. 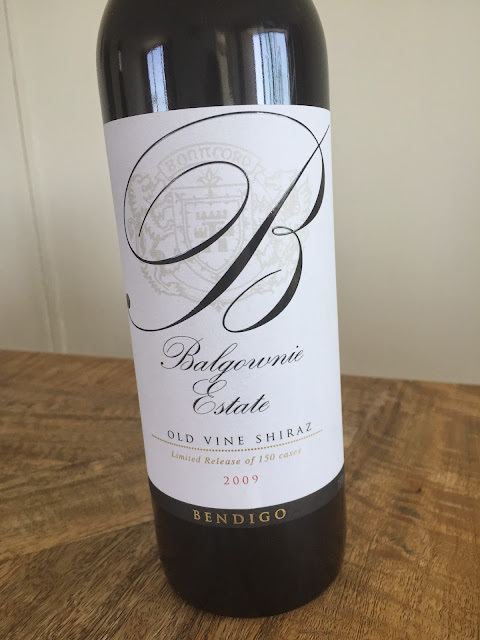 Sourced from the best rows of Balgownie’s original 1969 Bendigo plantings the fruit hand picked, hand plunged open fermented and 24 months in barrique. Gee you can taste that oak too, the 24 months in wood giving a chocolatey richness to everything that is inescapable. There’s kirsch and dense, red dirt tipped fruit too but you can’t escape that smudgy density of thick toast oak in every cranny, the finish warm, the fruit vibrance long gone. To be honest this will live forever (and in twenty years time might be lauded) as it has no shortage of tannic impact. Still this will never be more than just a dry red. Rioja Riserva meets Bendigo Shiraz.